Dude has ZERO career interceptions and a total for his CAREER of 9 passes defensed. One career forced fumble. Zero career sacks. We already have plenty of guys who cant make plays, no reason to add a guy who's actually WORSE at it then what we already have. NFL suspended Vikings CB Holton Hill four games for violating the league's policy on PEDs. Undrafted out of Texas, Hill wound up playing all 16 games for Minnesota in 2018 including three starts. He finished his rookie campaign with 30 tackles and one interception over 374 defensive snaps. Hill can take part in the Vikings' offseason program but won't suit up for them until Week 5. Ravens signed WR Seth Roberts, formerly of the Raiders, to a one-year contract. The deal is pending a physical. Roberts, who had been on the Raiders' roster seemingly since the team's inception, was finally let go on Thursday but took only 24 hours to resurface. He joins a paper-thin Baltimore receiving corps featuring Willie Snead, Chris Moore and not much else. Roberts would seem to have a good chance of starting in Baltimore, though judging by last year's run-centric scheme, the Ravens probably won't do much throwing in 2019. Vikings signed DB Duke Thomas, formerly of the AAF's Salt Lake Stallions. A UDFA out of Texas, Thomas blazed a 4.41 40-time at his pro day before stalling out in four preseason games with the Texans. He earned a shot with the Vikings after flashing in Salt Lake with four pass breakups and an interception, all the while leading all corners in tackles for a loss. Thomas is the fifth former AAF standout to sign with an NFL team thus far. Patriots signed TE Austin Seferian-Jenkins, formerly of the Jaguars, to a one-year contract. ASJ was easily the best tight end left on the free-agent market. New England made a push for Jared Cook following Rob Gronkowski's retirement, but Cook opted to stay committed to the Saints. For the Patriots, Seferian-Jenkins joins Matt LaCosse, Jacob Hollister, and Stephen Anderson at tight end. ASJ posted a miserable 11-90-1 line for the Jaguars in five games last season before landing on I.R. with a core injury. Jets signed RB Ty Montgomery, formerly of the Ravens. 26-year-old Montgomery will be a pass-catching option behind every-down back Le'Veon Bell. Although he has some of the best hands at his position, Montgomery has been continually undermined by poor health. 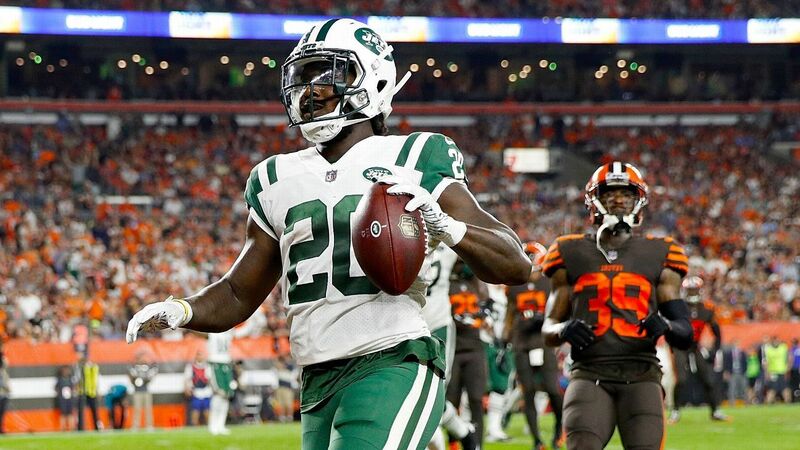 We would not simply assume he slots in ahead of Elijah McGuire, or even Trenton Cannon, on the depth chart, though ESPN Jets reporter Rich Cimini seems to believe that he will. With Bell amongst the best three-down talents of the decade, Montgomery will have zero standalone fantasy value, regardless of his role. "(We) are aware of the situation and are continuing to gather more information," the Jags said in a statement. "No further comment will be provided at this time." In the grand scheme of things, they are minor charges. In the context of Fournette's current standing with his team, they are a massive deal. The Jags have already voided the guarantees in Fournette's contract due to last year's suspension, and they briefly seemed to consider moving on from the 24-year-old back earlier this offseason. Now the sides' uneasy truce has been broken. Stay tuned.